As a member of the exclusive virtual accelerator program, IFDAQ gains access to leading-edge resources for artificial intelligence, deep learning and data science. IFDAQ has gained acceptance into NVIDIA’s Inception program, a nurture program for exceptional startups revolutionizing industries with advances in AI and data sciences. The Inception program offers customized resources that range from hardware grants to collaboration with NVIDIA’s Deep Learning Institute to raising visibility for the unique value and innovations IFDAQ can bring to market using NVIDIA’s deep learning platform. The relationship also includes access to NVIDIA’s latest GPU accelerators as well as a global AI and deep learning ecosystem with a massive network of deep learning experts and opinion leaders. “NVIDIA is a great fit for our technological research and development plan. We have already initiated the process to make our core systems GPU-ready and to fully explore the further potential that comes with NVIDIA’s latest GPU technology,” added the venture’s Chief Technical Officer, Markus Übeleis. The IFDAQ is the most advanced and powerful AI system that provides quantitative market values for anyone and everything in the fashion and luxury industry. The IFDAQ values come from an intelligent ecosystem that creates a high-dimensional virtual image of the fashion industry and measures the effective market value based on the relative performance in the industry of a fashion entity. 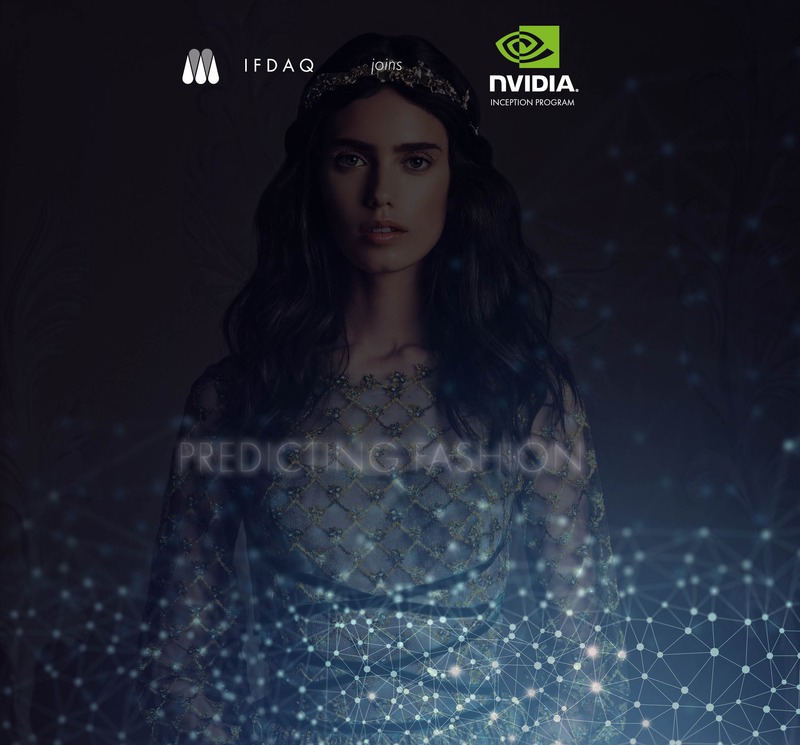 This all provides the very first real Fashion Intelligence Unit with real-time industry monitoring for the entire industry, and the power of Artificial Intelligence used to define your daily market, trend, influence, industry importance, reputation value offering an endless variety of insights, benchmarks, predictive analytics and much more. For more information, visit: www.ifdaq.com.